The findings from the INDEPENDENT REVIEW OF SOUTH YORKSHIRE POLICE IN RELATION TO ITS RESPONSE TO CHILD SEXUAL EXPLOITATION, led by Professor John Drew, have now been published (23 March 2016). Professor John Drew is leading an independent review into South Yorkshire Police’s handling of reports of child sexual exploitation. 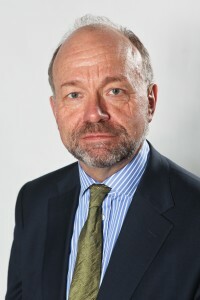 The review was announced in March 2015 by the South Yorkshire Police and Crime Commissioner, Dr Alan Billings, following the publication of reports by Professor Alexis Jay and Louise Casey that highlighted the scale of child sexual exploitation in Rotherham, and a BBC report that alleged child sexual exploitation in Sheffield had been ignored by South Yorkshire Police. All this severely damaged public confidence in the Force. The review has been commissioned to look at how the Force has handled reports of child sexual exploitation across the whole of South Yorkshire to ensure that everything that can be reasonably known about the past is known and that matters are now being dealt with in a very different manner. Led by Professor Drew, the report will establish whether South Yorkshire Police has understood and acted upon the findings of reports and inspections into matters of child sexual exploitation. It will also look at whether the Force’s response to safeguarding children and young people has been adequate across all districts – Barnsley, Doncaster, Rotherham and Sheffield. In setting out the Terms of Reference, Dr Billings has considered the scope of other ongoing investigations and inspections by the National Crime Agency (NCA), the Independent Police Complaints Commission (IPCC) and Her Majesty’s Inspectorate of Constabulary (HMIC) to avoid unnecessary duplication as well as the ongoing criminal investigations by South Yorkshire Police and pending prosecutions the Crown Prosecution Service. The review launched on 30 September, following a period of scoping, and will last for 3 months. A report will be presented to the South Yorkshire Police and Crime Commissioner and will be made public early in 2016.